A trip to Johor Bahru allows visitors to travel back to the colonial era and discover places of worship reminding visitors of the country's rich history and multicultural character. Explore museums preserving the stories of different communities from across Asia, and take time to get to know the city's charming streets, vibrant galleries, and growing cafe culture. 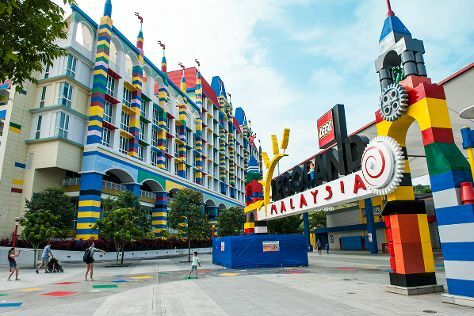 Kick off your visit on the 30th (Fri): find something for the whole family at Legoland Malaysia. Here are some ideas for day two: find something for the whole family at Sanrio Hello Kitty Town. To see maps, other places to visit, ratings, and tourist information, go to the Johor Bahru vacation builder app . In November, plan for daily highs up to 37°C, and evening lows to 28°C. Finish your sightseeing early on the 1st (Sat) so you can travel back home.